Virtual reality for education has become the hottest tech trend in recent years. Not only do they allow students the opportunity to immerse themselves into a subject but can they can be educated about any subject instantly right from their classrooms! Now with the advent of Virtual Reality integrated with Artificial Intelligence interactive subroutines, this project takes it a step further! Concept: Imagine being able to teleport into the rare habitats of the some of the World’s most endangered animals in the World and be able to interact with them. 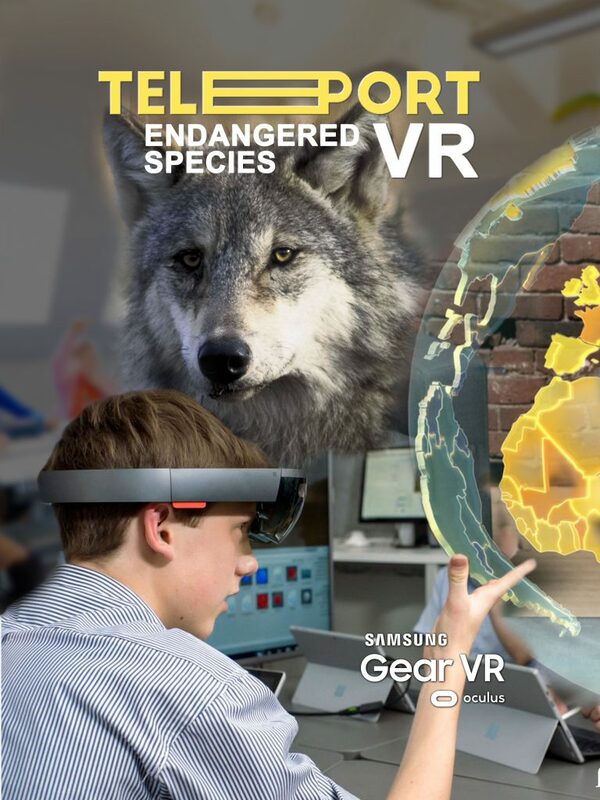 Students will be educated and entertained about these animals utilizing state-of-the-art 360 cameras and virtual reality content creation. This project will capture in 8k high resolution footage of endangered animals recording their movements, social and feeding habits. Part of this project will also include collecting DNA Samples and storing them for future generations. * Is the animal on the World’s endangered list? * It was previous not endangered in the past 50 years. * Most people do not know it this animal may even be on this list. How will the experience look? A viewer will start from a spinning 3D global map and be able to select various locations around the globe. Once a location is selected, the highlighted area on the globe will highlighted and the experience will start. What will make this project unique? * The viewer will get an in-depth look in virtual reality at the natural habit of this animal. * The viewer will be able to understand reasons why this animal became endangered. * The viewer will be able to interact with elements within that animal and video, audio or imagery educational in nature will be displayed. * The viewer will be scored based on how well they can answer questions about this location once they leave it. * Scoring A.I algorithms will be used to adjust each additional experience the viewer undertakes. Learning from that viewers preferences based on where they look in the experience and items they interact with and order they interact with them. * There will be Virtual Reality version built to work on Google Cardboard or Samsung Gear VR Devices. interactive elements will be “hotspots” using X/Y coordinates selected by a viewer in the 360 spaces at a given time during each video experience. * We will also store DNA samples of each animal with the aid of on-site geneticist. * Part of this project includes showcasing this experience to students in the greater El Paso, Texas area at FabLab ( downtown El Paso, Texas ) once a month at no cost. Additional screenings can also be shown to students in classrooms as time allows. 1. The filming of 360 VR footage as well collecting images and video for the interactive elements. 2. Programming a VR mobile app version for Google Cardboard and Samsung Gear VR. This VR app. 3. The collecting of DNA Samples and storage for each animal.